intelligence with TIP TIG ® systems. 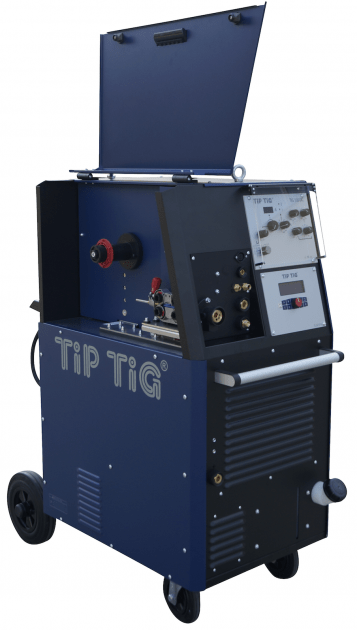 TIP TIG is a semi-automatic high deposition metal transfer (HDMT®) variant of the manual TIG welding (GTAW) process. As opposed to the manual GTAW process, in TIP TIG, the continuously fed and sinusoidal stimulated preheated filler metal improves very significantly the deposition rate. The automatic TIG wire feeder includes a filler wire agitation mechanism that improves the dynamics of the molten weld pool. The agitation appeared to increase fluidity of the weld puddle and help break up impurities and release evolving gases for reduced risk of inclusions and porosity. 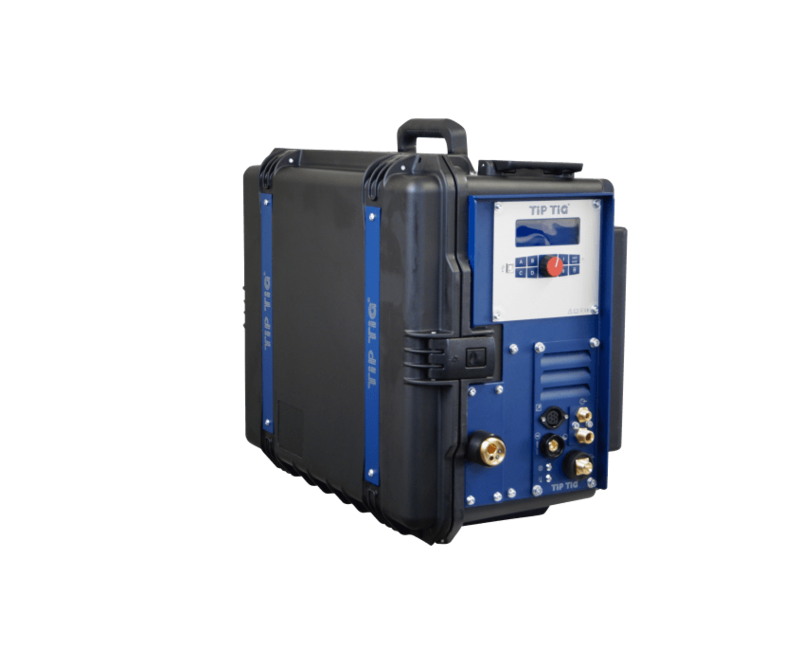 Welding equipment that uses the TIP TIG process are in fact TIG welders. Our patented wire feed system induces a vibration on the filler wire and add a hot wire current on the welding wire prior to entering the weld puddle. The vibratory effect comes from a sinusoidal agitation applied mechanically using a 4-Roll wire drive unit. The hot wire current is created by a secondary power source within the TIP TIG wire feeders. The TIP TIG welding process is applicable on most TIG needing techniques and on alloys like Carbon Steel, Stainless Steel, Duplex and Super Duplex Stainless Steels, Inconel, Stellite, Titanium, Hastelloy, Copper Nickel, Nickel Chrome Alloys and for aluminum welding. The core application of the TIP TIG process is attaining a higher speed and increasing productivity of welds by enabling semi-automation. 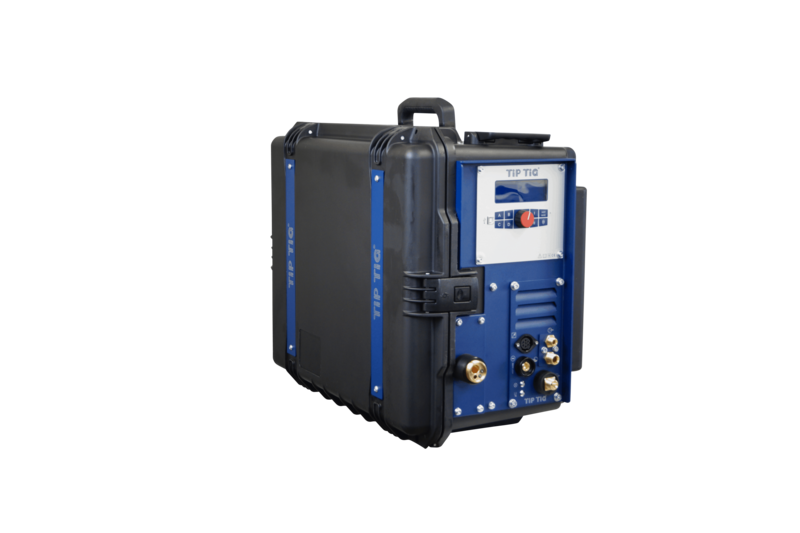 The easy-to-use operating panel and the clearly structured user interface ensure that you are ready to start welding without having to make any additional preparations. Unique and Durable Case, Impact-resistant, flame-retardant case provides strength and durability. Small enough to fit through ship manways and light enough to carry around the site. 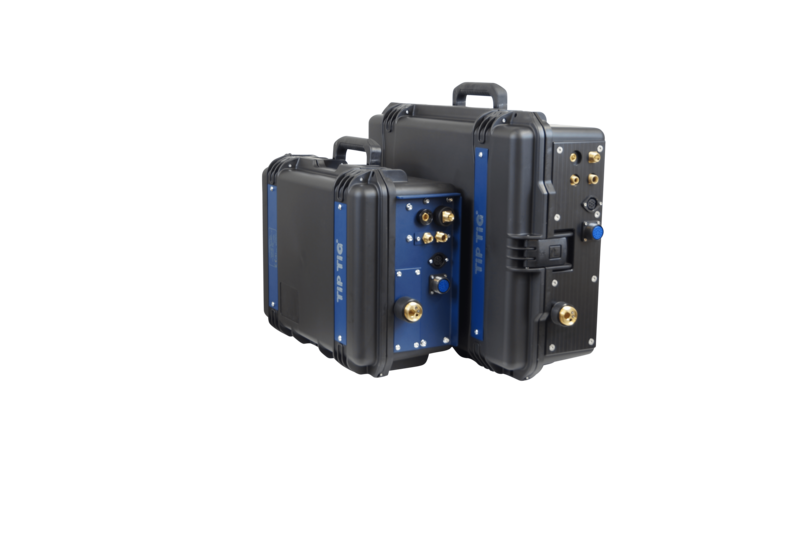 Setting the Standard for Performance and suitable for shipbuilding, offshore, construction or pipe welding operations. 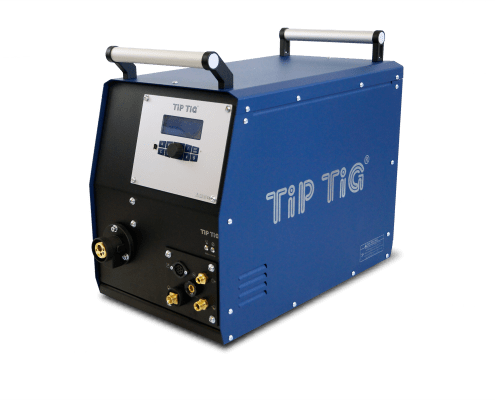 TIP TIG is the only semi-automatic weld process capable of consistently producing optimum, all position code quality welds on carbon steels or any alloy applications without concern for weld rework and without concern for the effects of weld heat on the alloys welded. 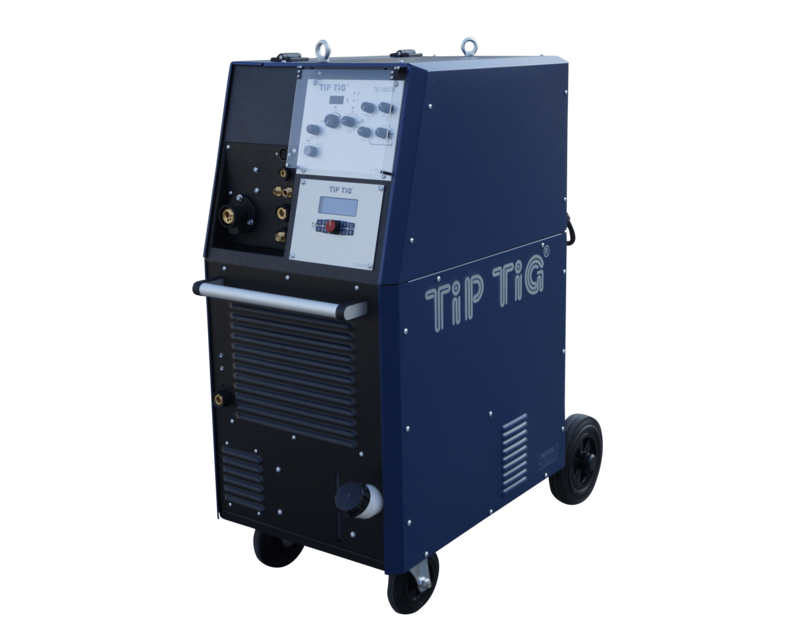 TIP TIG is the only process capable of delivering the highest possible weld energy with the unusual benefit of also providing the lowest possible weld heat. Founded in 1997 by Siegfried Plasch. Family-owned and headquartered in Krenglbach, Austria. We develop and manufactures high-performance welding equipment that uses our patented wire feed technology to improve the productivity of our customers. As a technology leader, we work together with our customers and partners to develop welding technology for the future. All products are made in Austria. Our aim is to make welding processes even more safer, sustainable and more economical. As a full-service provider, we assume responsibility for the entire welding process. We are proud to help our customers with TIG welding tips and hints. 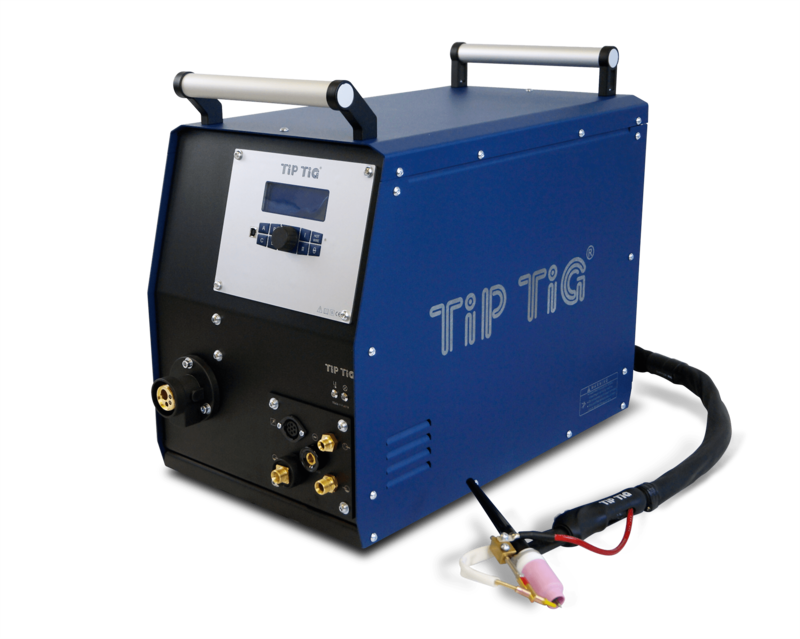 In-house research and development and more than 30 years experience in the welding industry are the foundation for the technological advancement that is associated with the TIP TIG brand. WHAT DOES “TIP TIG” MEAN? We have been asked many times what does “TIP TIG” mean. TIG means “Tungsten Inert Gas”.